Good. Better. Best. DC Prime. From the team at DC Collectibles comes THE premium-grade action figure line for DC characters. These nine-inch highly poseable collectibles come with multiple pairs of hands and accessories, so fans can create their own ultimate renditions of their favorite characters. To help bring these figures to life, the team at DC Collectibles brought on concept designer Riccardo Federici, as well as sculptor and figure designer Wonil Song, to breathe life into these extraordinary action figures. DC Prime is a best-in-class action figure line designed to be the centerpiece of any collection, direct from the source. For the first release from the DC Prime line, the team could think of no better hero than the Dark Knight himself-Batman. This massive collectible was carefully designed to be the ultimate Batman action figure. With over 23 different points of articulation, multiple pairs of hands, a wired fabric cape and three unique heads, there are thousands of unique Dark Knight moments just waiting to be created. 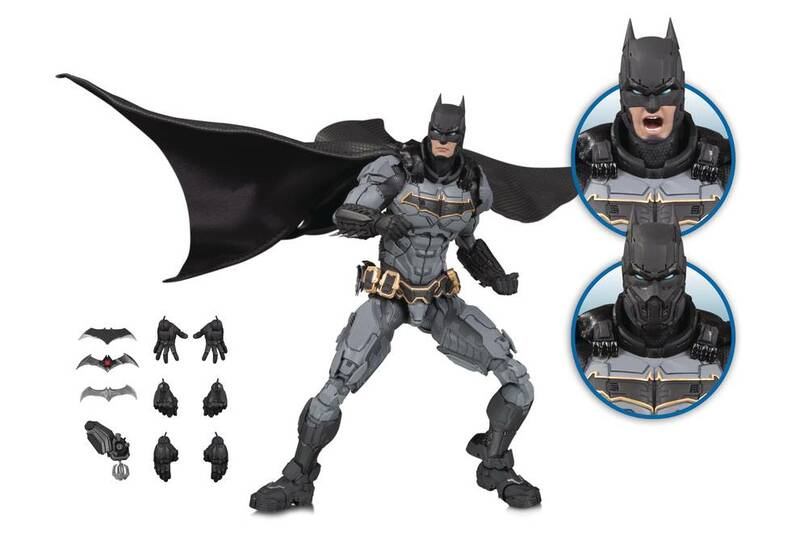 For those fans looking for the best-in-class Batman collectibles-your action figure has arrived. * Figure measures approximately 9' tall * Allocations may occur * Final products may differ from images shown.